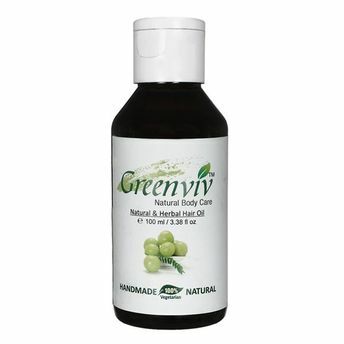 Give your scalp the strength it needs with this all new Greenviv Natural & Herbal Hair oil. With regular use of this enriched oil, you will see a significant improvement in the health and feel of your hair. Preventing hair loss, this non-greasy hair oil comes with the most famous herbal supplement for hair growth. This healing and nourishing herbal ayurvedic hair oil eliminates the causes of hair loss, stopping hair loss and discoloration at the roots.